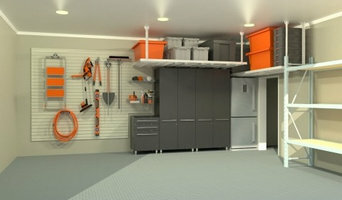 Garage Storage World (GSW) is Perth's, and one of Australia's, first fully dedicated company focused on garage organization and storage products. GSW was founded in 2007 with the simple goal of providing the leading products of garage organization from around the world for the people of Australia. Since 2007 GSW has helped thousands of people clear their garage clutter and become organized, while at the same time enhancing garages and adding value to their property. With GSW you are dealing directly with the owners and employees of the company, assuring you of the highest level of personalized attention, service and workmanship. Fireplace Corner is an innovative family-owned business specialising in the supply and installation of residential and commercial fireplaces. With a quality product range and unparalleled service, it has been our goal since inception to keep families warm and snug in the Australian winter months. We offer top-quality gas, wood and electric fireplaces – all at an affordable price. If you’re new to the world of warmth, our sales team is happy to provide you with all the information you may need. Try us now – we’re just a phone call away. Alternatively, you can pop into our showroom – we have over 40 freestanding and built in fireplaces on display, most of which are fully operational. Pay us a visit to see why we’re the best choice for fireplaces in Perth. 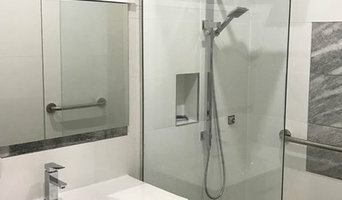 Complete Wardrobe Supplies is a family owned business that manufactures and sells all types of sliding wardrobe doors to the building industry, the end user, or retail market. We have been in the industry for over 16 years and have evolved into a customer focused, professional, and efficient service. Specialising in custom made competitively priced wardrobe products our service also includes doors and shelving. We are different in that we provide services and ideas and products that specialise and individualise to what you want. In other words, the product is designed specifically for your home or location and not the other way around. As a result, Complete Wardrobe Supplies has a loyal customer base and is highly recommended. Professional Organiser specialising in home decluttering and organising. Perth After Hours Medical Service has been providing after-hours Doctor Home Visits on behalf of General Practitioners to residents of Perth for nearly 5 years. Your regular GP is the best place to receive medical attention and we compliment daytime General Practices by offering after hours home visits to their patients when they are closed. Our service is not to be used for emergencies, and for convenience purposes. Please check the Areas Covered section to see the suburbs that we currently cover. Welcome to La Latina Catering Perth – We are leading corporate catering company in Perth for private & corporate catering Perth events. Call us now for your catering needs! Experts in home organisation can help streamline and organise your home life. They provide bespoke storage solutions and strategies to ensure everything in your East Perth, Western Australia home has a place and you can live comfortably. Some can help you regain control of your entire house, while others specialise in specific areas, such as wardrobes, offices, paperwork and collections. They also provide coaching so that you can maintain your new organised space. Find a wardrobe, storage and organisation expert on Houzz. Scroll through this page to find East Perth, Western Australia professionals who can design and install storage solutions, as well as provide home organisation services. You can browse their previous work, read reviews and see how other homeowners rate their customer service, product and expertise.